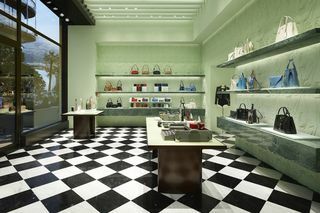 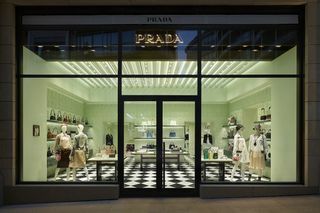 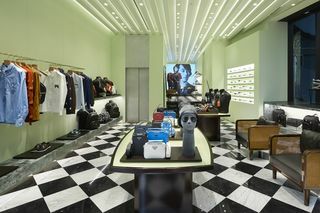 Prada has opened the doors to two new stores in Monte-Carlo, one dedicated to men and the other to women. 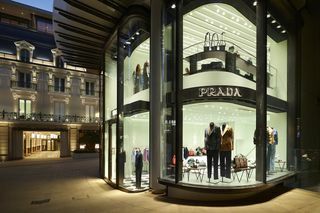 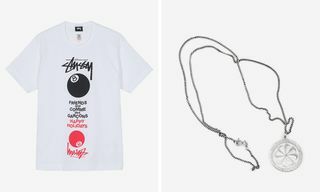 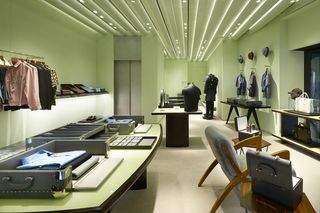 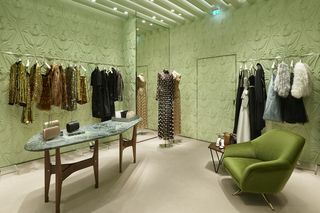 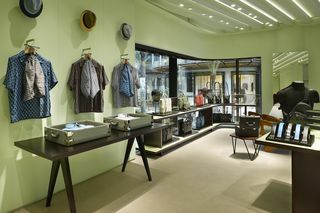 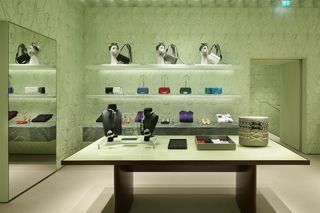 The Prada men’s shop is located in the One complex, while the women’s boutique resides at the illustrious Hôtel de Paris. 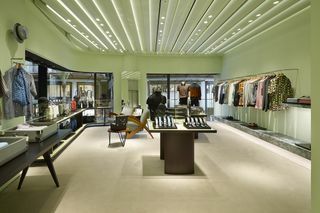 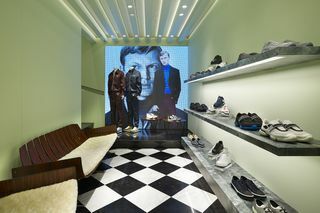 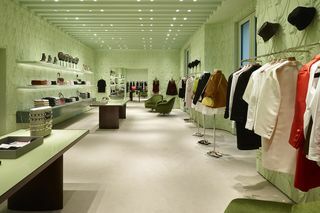 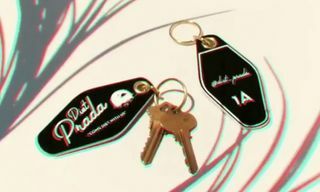 Prada’s new men’s location (see the gallery above) spans two floors and approximately 175 square meters. 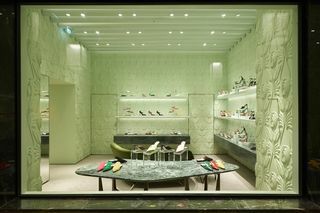 The store can be seen from the street through a glazed façade, as the interior boasts an open floor plan. 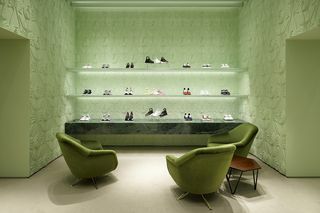 Pastel green walls and green Aver marble tops play complement to the black and white checkered marble floor, while the ceiling is of a modernist design. 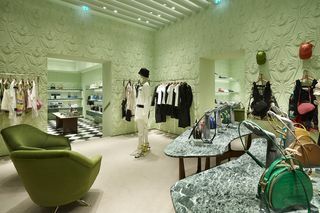 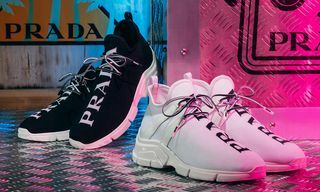 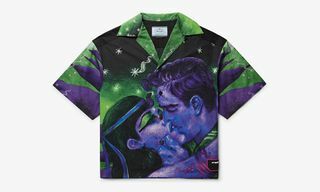 Located at the Hôtel de Paris, Prada’s women’s outpost in Monte-Carlo (see the gallery below) also sits on two levels, stretching around 470 square meters. 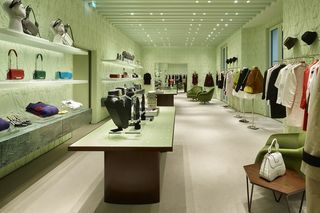 Upon entering the sophisticated space, customers are led to a series of rooms overlooking the covered gallery. 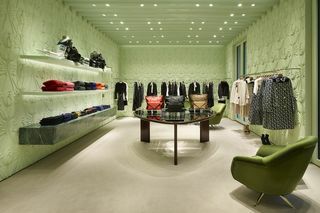 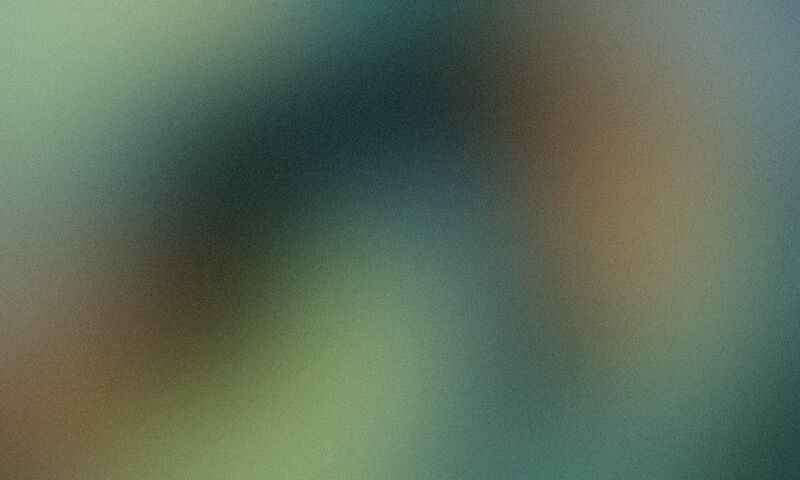 The first floor features pastel green-colored walls, while being decorated with the house’s iconic prints. 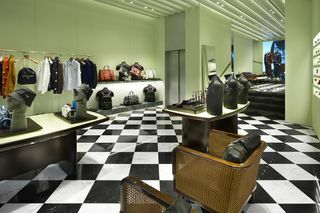 Also boasting black and white checkered marble floor, the boutique is then filled with designer furniture.